Looking for trouble near Cederberg Oasis. Three days. But we took our time and made lots of stops along the way. The weather was crazy on day one. A lot of rain and intense cold. That made the roads for the rest of the trip quite slippery and kept our speed low. 3. Why do you recommend this route? This is an amazing circle route around Sutherland, which is close enough for the Cape Town bikers to do over a long weekend. Otherwise it will also be worthwhile to come down from wherever and spend time on this route. It’s a challenging, but beautiful ride. All of it is dirt and some stretches real off-road stuff. The Ouberg en Gannaga passes are two of the greatest gravel passes in the country. Furthermore, the Cederberg always takes your breath away. And the Biedouw valley is always full of surprises as you never know if you’ll pass the Doring river. The Tanka Karoo will make you fall in love with its complete silence and forever open spaces. In spring the area is often dressed up in all kinds of flowers. Just outside Sutherland, towards Matjiesfontein, turn off on a gravel road that will take you down to Ouberg pass. After 57km on this road you will see the marked turn off for Ouberg to your left. 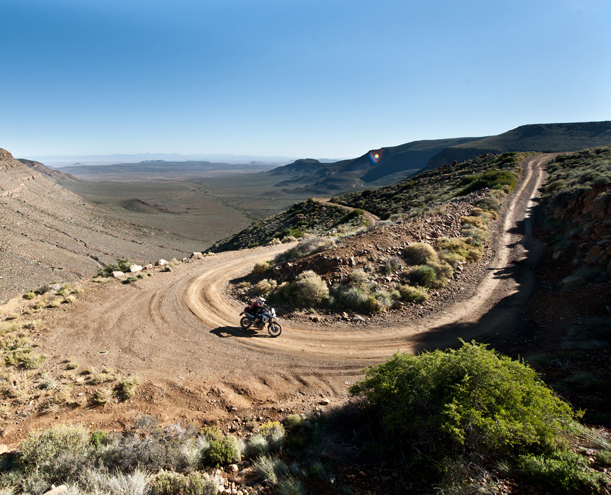 Here your descent into the Tankwa Karoo begins as you ride down Ouberg pass. About 20km further on you will reach a small T-junction where you have to turn left. Cross the Tankwa river and turn right, towards Onder Wadrif. At the next T-junction turn left again. This road will take you to the R355 between Ceres and Calvinia. At the R355 turn left towards Ceres. After about 40km you will find a nice farm stall on your left. Just beyond it a smaller gravel road turns off to your right. It should be signposted Klein Cederberg. 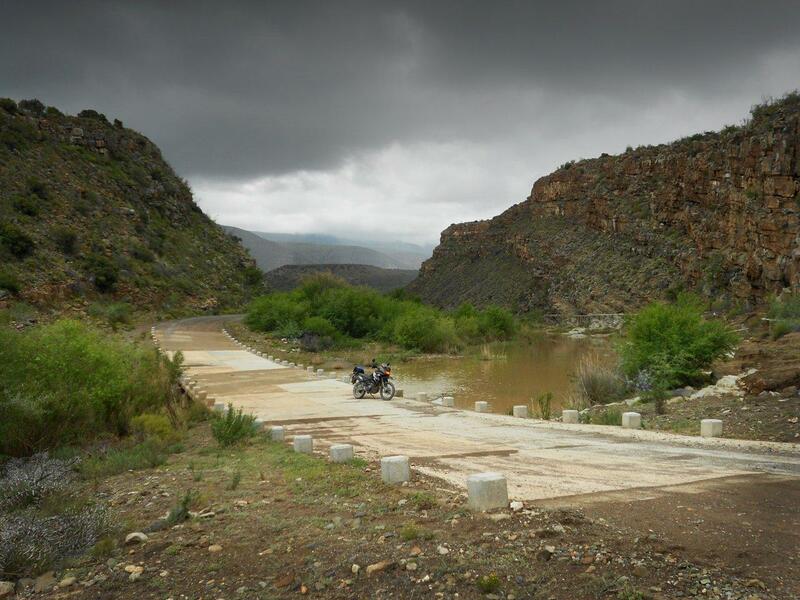 This road goes up the Peerboom pass and then twist through the Klein Cederberg area as a single-track road. Ride down Katbakkies pass all the way to Oppi Berg. 20km outside Oppi Berg you will have the choice to go to Oppi Berg (where you can fill up and get some groceries at the local Spar) or turn right towards the Cederberg mountains, Clanwilliam, Wupperthal and an overnight place, Cederberg Oasis. After you filled up in Oppi Berg you should go back that 20km to take the gravel again towards Clanwilliam/Cederberg Oasis. 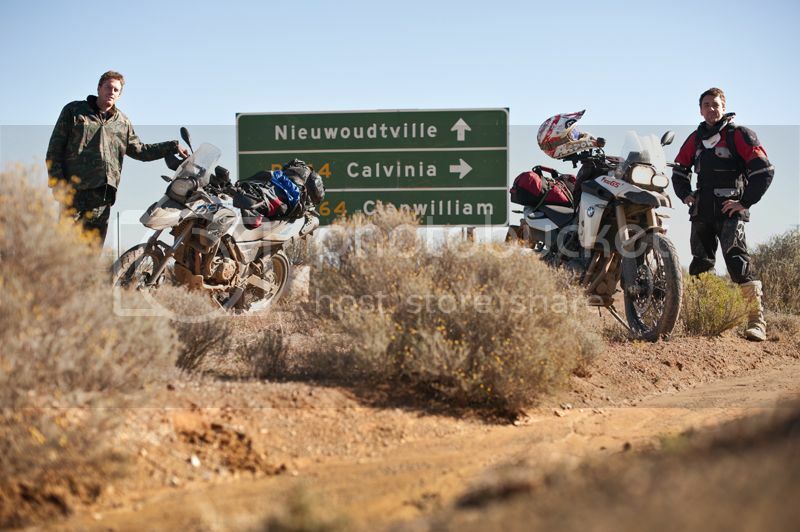 You could stay on the main gravel road and go straight to Clanwilliam, or take the route via Eselbank to Wupperthal. 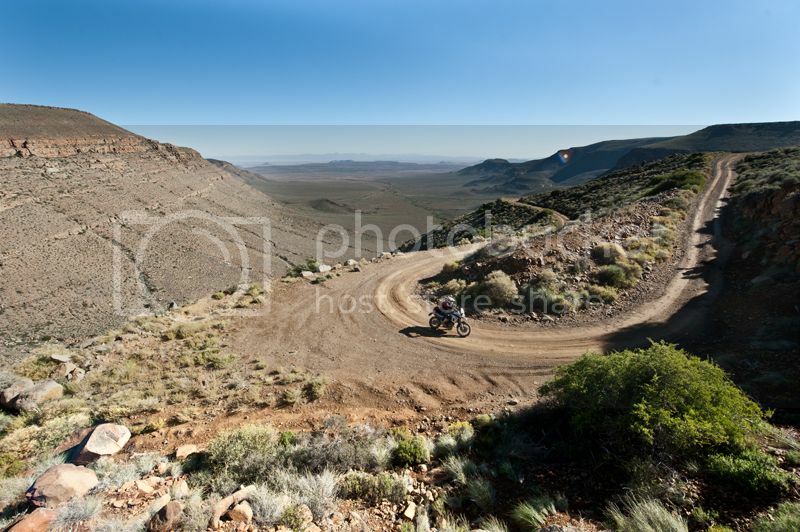 A few km’s after you’ve passed Cederberg Oasis you will reach a sharp bend to the left where the single track to Eselbank turns off. This is a 4×4 track and a bit technical in places. This road will take you through the mountains and Eselbank all the way down again to Wupperthal. Splendid scenery. From Wupperthal there is only one way out to Clanwilliam. 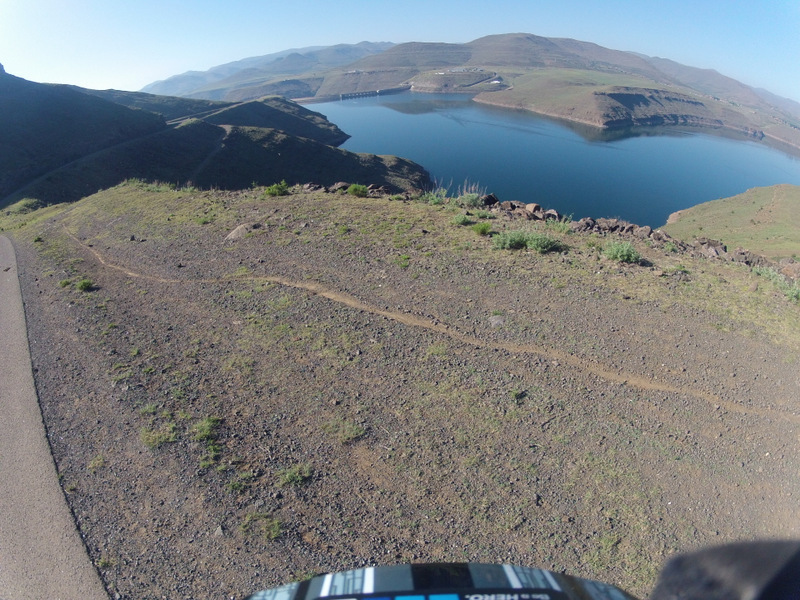 You could go from Wupperthal into the Biedouw Valley and from there to Middelpos or Calvinia. But you will have to cross the Doring river which is in flood sometimes. Usually in winter. 20km outside Clanwilliam you can choose to go into town or turn right on the R364. You have to take the R364 towards Calvinia. 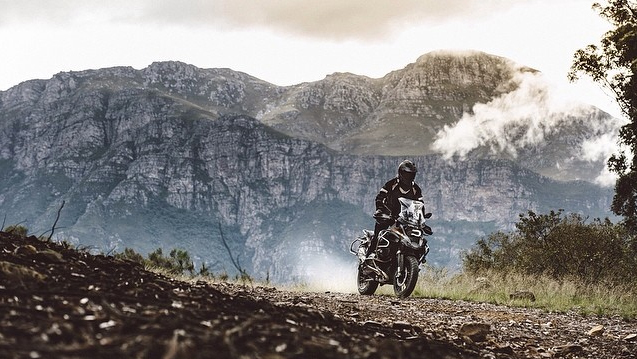 This road takes you up the Botterkloof pass. From Botterkloof the next turn-off is about 20km. There’s a crossing and the road to the left goes to Niewoudtville. You have to turn right here. Keep going straight until you reach a T-junction where you can turn right to Die Bos. This will take you back to the R355 again. At the R355 turn left towards Calvinia. 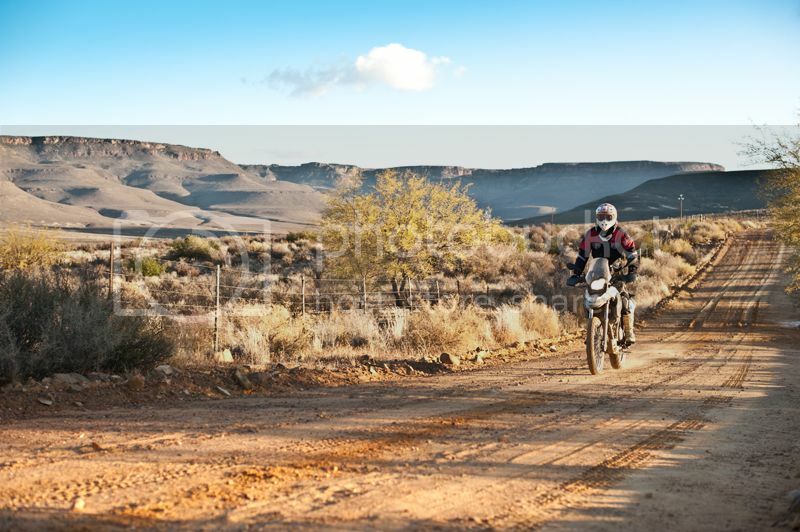 After about 20km you will get a smaller gravel road to your right that goes into the Tankwa Karoo National Park. 45km down this road the road to Gannaga pass and Middelpos turns to your left. From Middelpos you take the R354 back to Sutherland. 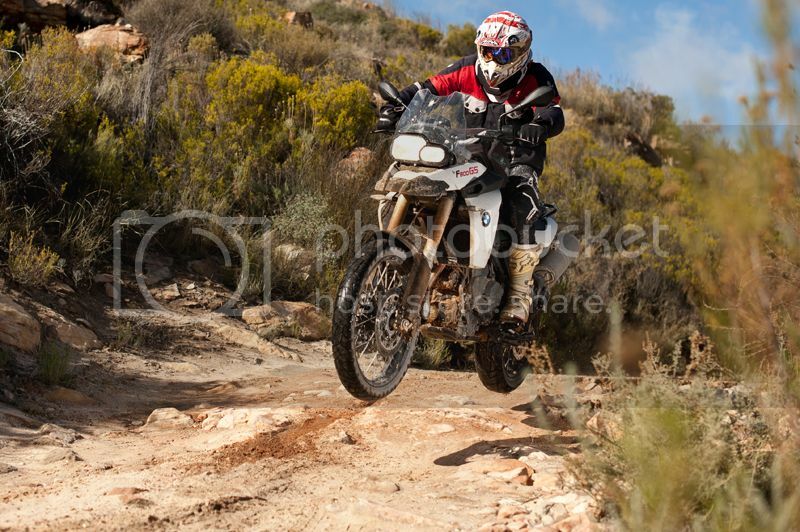 We did it with a BMW 650 Sertao and a 800GS. This is a great trip for any adventure bike and enduro bikes like a 450WR Yammie or 511 Husqy. Sutherland itself is a lovely little Karoo town with some nice places to stay and eat. Look out for the Jupiter restaurant and accommodation. It welcomes bikers. The local hotel, where we stayed, is great. The Tankwa Karoo National Park has some great camp sites and chalets. We stayed over at the Cederberg Oasis between Oppi Berg and Wupperthal. Great atmosphere and great steaks. Give them a call at 027 482 2819 or mail cederberg@telkomsa.net. Down in the Biedouw Valley we stayed at Enjo Life Guestfarm. Awesome place. Friendly people. Call 027 482 2869 or e-mail rocks@soulcountry.info. Clanwilliam is a great town to stop and have a break. Nice little shops and restaurants. And Wupperthal is a must see. There are garages in Sutherland, Oppi Berg and Clanwilliam. The one in Middelpos is not open at night and not open the whole day on Sunday or Saturday. Call the Middelpos Hotel (027 341 2507) to find out what the hours are. Clanwilliam is a large town and you could find somebody there to help with minor repairs. In Sutherland you can as Rudi (082 739 0018) for help. He has some bike spares, tyres and tubes. 8. Are there any dangers along the route? Ouberg and Gannaga are gravel passes, so ride carefully. Ouberg is steep and Gannaga has sharp bends. In winter this region can get heavy rainfall and then every little ditch and river is in flood; especially those in the Cederberg and Biedouw valleys. Walk through water to make sure it is not too deep and that the flow is not too strong. The 4×4 track over Eselbank to Wupperthal is the most difficult part, but there are no great dangers on that stretch. Take it easy if you are not an experienced rider. About R1700 per person, everything included. 10. Did you use any special gear? No special gear. The other rider did have a waterproof pant and jersey on over the rest of his clothing which helped a lot in the rain. Warm kit is essential in that area in winter. And some good knobbly tyres. Be prepared for anything as this is the unbeaten track. Pack tools and a tyre-repair kit. Visit Wupperthal and have a look around. There is a shoe factory that makes good leather vellies. Check out the big SALT telescope outside Sutherland. Don’t race through this area. It’s beautiful and there’s a lot of other tracks to check out and try. Give yourself enough time to enjoy every day. The biggest town you will pass through on this trip is Clanwilliam. Pack a first aid kit and have your medical scheme’s number written down and on your phone. 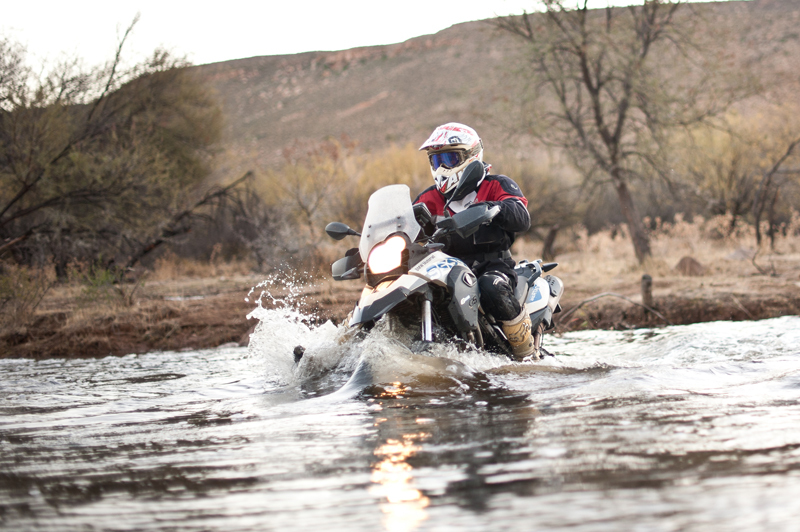 Special thanks to BMW Motorrad South Africa for the test bike, a G 650 GS Sertao, and to Sovereign BMW in Bloemfontein for the F 800 GS. 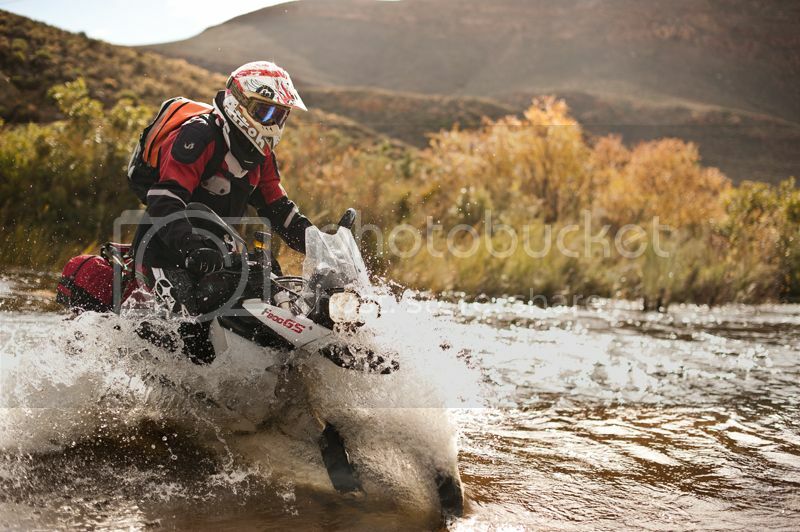 The riders: Willem van der Berg and Desmond Louw. All photos by Desmond Louw.